The first train tracks were laid in Colorado the 1860’s and since then the trains have been transporting people through the most beautiful scenery the state has to offer. 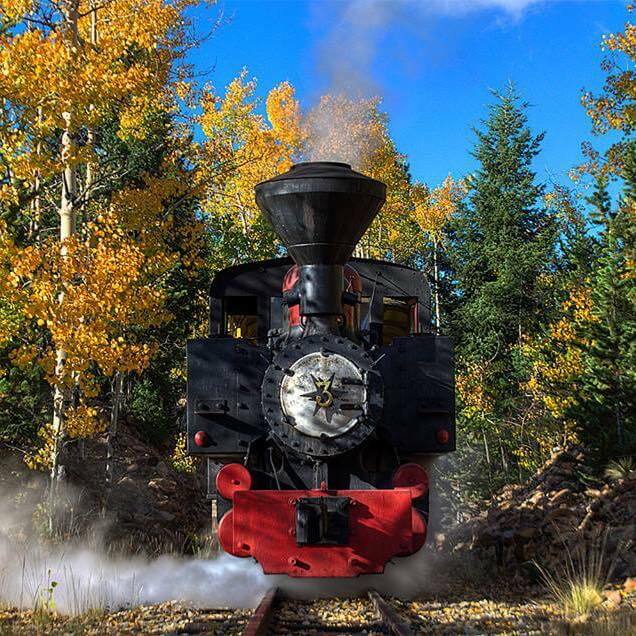 Two of Colorado’s scenic train rides have been rated as top in the country, and there are over five railroad museums in the state as well as the World Famous Tiny Town and Railroad. But it isn’t all tourist attractions! Colorado is midway through the California Zephyr’s route from Chicago to San Francisco and the section of tracks through the Rockies is said to be the most beautiful train trip in the west. 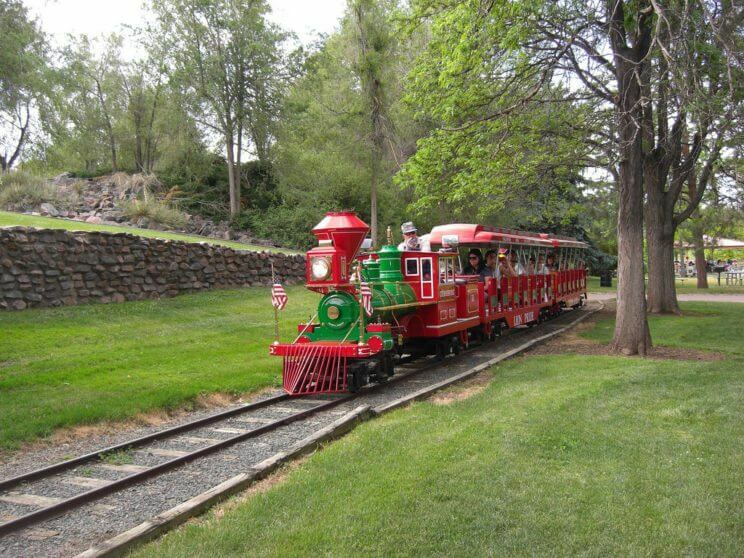 Discover Colorado’s trains from playful to practical! Georgetown Loop Railroad and Mining Park was one of Colorado’s first tourist attractions. Completed in 1884 this track was originally used to transport folks among mountain mining towns. In 1975 it became the Georgetown Loop and has been a tourist attraction ever since. The train runs between Georgetown and Silverplume and you can start from either town and experience the entire loop. This spot is a great place to plan a day trip. You can ride the train in coach or class it up in the parlor car. They also offer ticket combos so you can ride the train and tour the Lebanon Mine all in one day. Opening day for 2018 is April 28th and advanced reservations are available for the season. 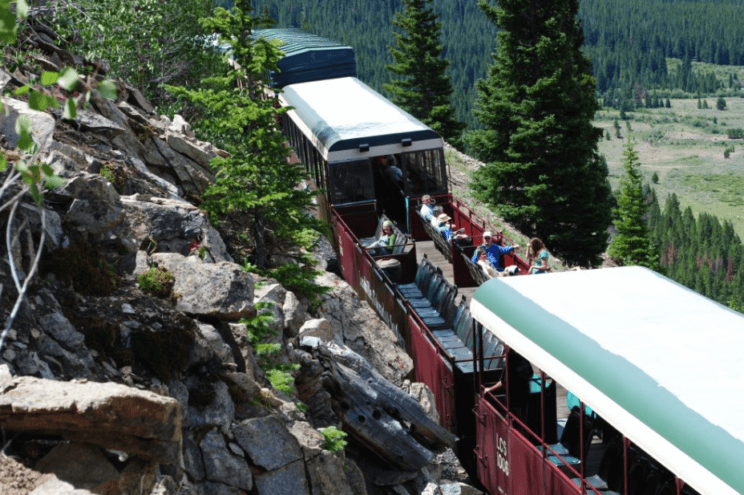 Zip Line and Train Ride is a chance to see the Colorado wilderness from land and air! Enjoy the winding train ride through the mountains and then experience the thrill of zip lining over the forest to base camp. 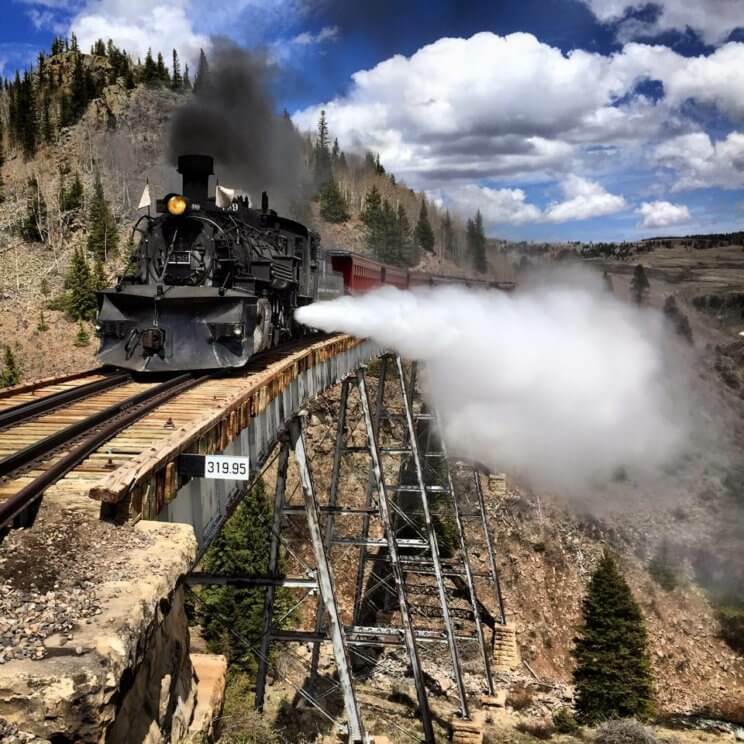 Raft and Rail Package Special includes a rafting adventure through Brown’s Canyon and then a relaxing train ride back up through the mountains to Leadville. The Devil’s Tail BBQ brings the train and delicious BBQ for a delicious ride through the mountains. The Wildflower Special is a celebration of the peak blooming season for the wildflowers in the high mountains. This train ride passes by some incredible vistas and includes a 20 minute guided hike and a catered lunch. Psst…They offer a 15% military discount, special rates for riding in the caboose or engine. 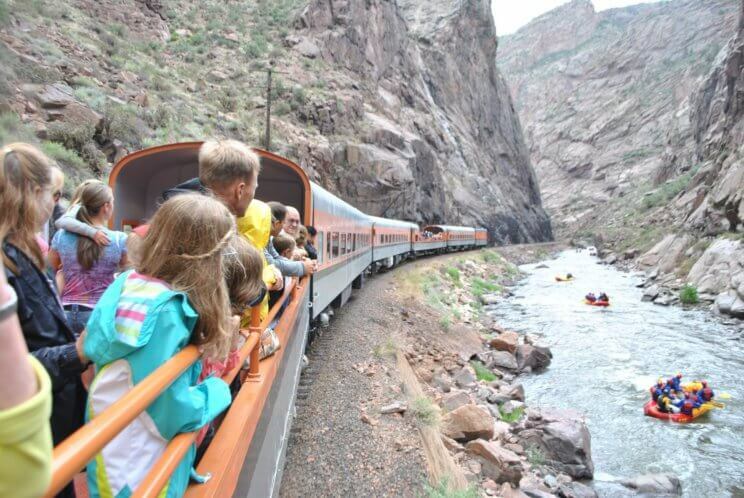 Royal Gorge Route Railroad departs from Cañon City and is a 2 hour ride of amazing views and delicious food. Passengers can choose from riding in Coach or upgrade to the beautiful view of the Vista Dome Class. The food is sourced locally when possible and prepared and served on the train. The views are stunning and a highlight of the gorge route is the 1879 hanging bridge located along the north side where the gorge narrows to 30 feet (9.1 m) and the sheer rocks walls plunge into the river. Cripple Creek and Victor Narrow Gauge Railroad may have a stuffy sounding name but this is a fun four-mile, 45 minute ride on a steam locomotive near historic mines and beautiful scenery. The ride features stories about the area and stops for photos and questions along the way. Don’t worry about missing the train! They run every forty minutes starting at 10am and ending around 5pm. They are seasonal so look for their opening dates on their website! 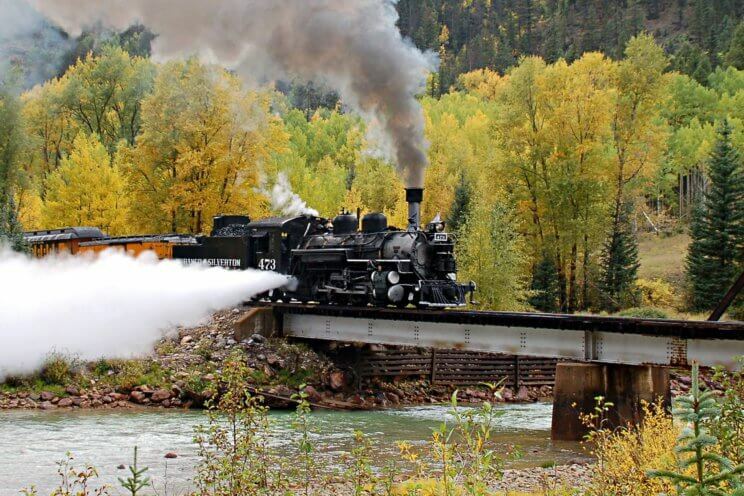 Durango and Silverton Train offers train rides all year around. The current offering is the Winter + Spring Train to Cascade Canyon and is a 26-mile journey through the San Juan National Forest and along the Animas River with stunning views from inside heated coaches. In early May they expand their trips to offer a variety of options that last from half-day to full day excursions. If you get hungry on the ride hot and cold lunches are available for purchase, as well as drinks from the Concession Car. The Historic Narration Journey is for those who are interested in knowing the good, the bad, and the history of the train. With actors in costume to make things authentic this train ride takes you back in time in style and comfort. Since you will be in the area make sure you visit the Durango and Silverton Narrow Gauge Railroad Museum. 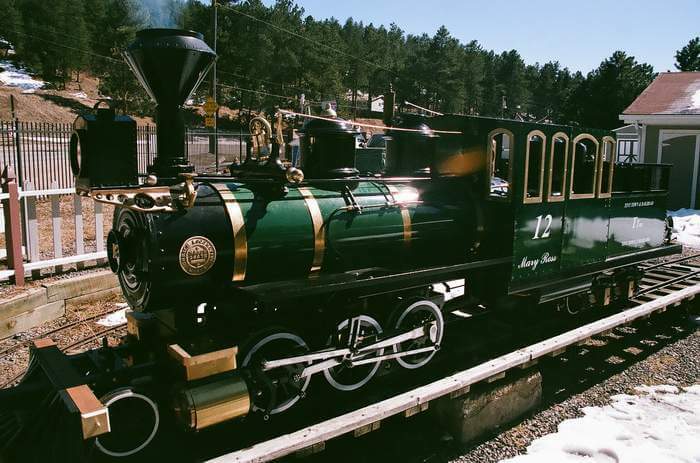 Free entry, authentic historical items, displays from the past as well as knowlagable staff lends to a wonderful experience in the history of the railroad in Colorado. Psst…If you are planing to visit the railroad make sure to take advantage of their Summer Train Discounts before March 31! 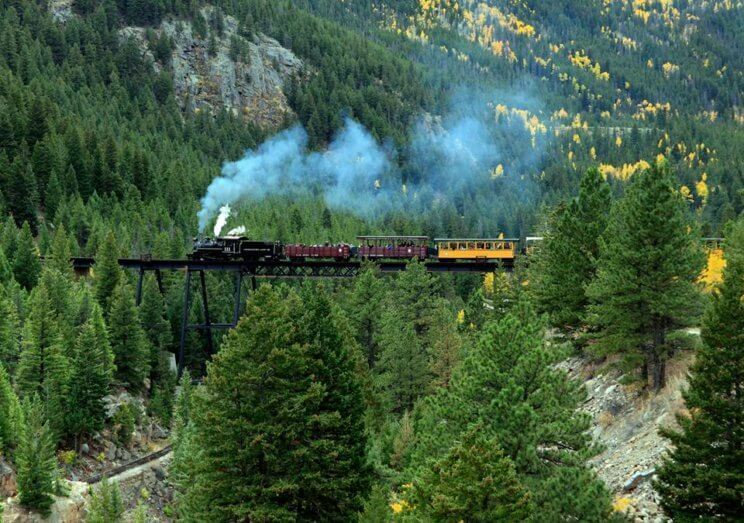 Cumbres and Toltec Scenic Railroad was number one in the USA’s 10 Best Reader’s Choice Poll for American Train Rides! It is a bi-state railroad adventure with narrow gauge steam engines that provide full and half-day trips through stunning landscapes. 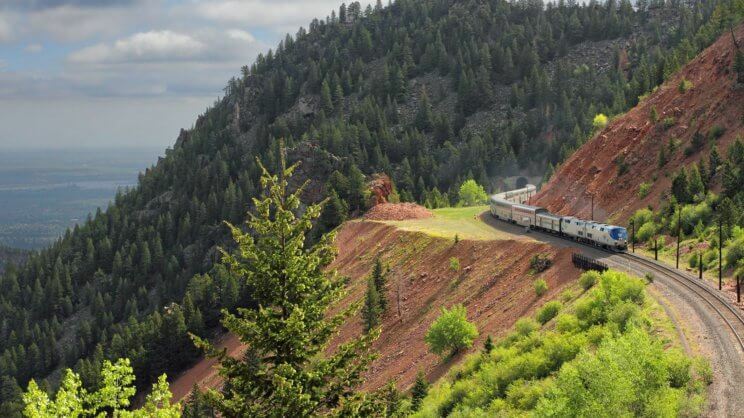 The trains leave daily from Antonio, CO and Chama, NM to meet in historic Osier, CO. You can take the train one way and a motor coach the other way or vice versa for a shorter journey. Don’t worry about getting hungry, included in the ticket price is a buffet lunch in Osier, CO. They offer Special Trains through out the year like a Forth of July Dinner Train, a Sunset Dinner Train or the Wildflower Botany Train. 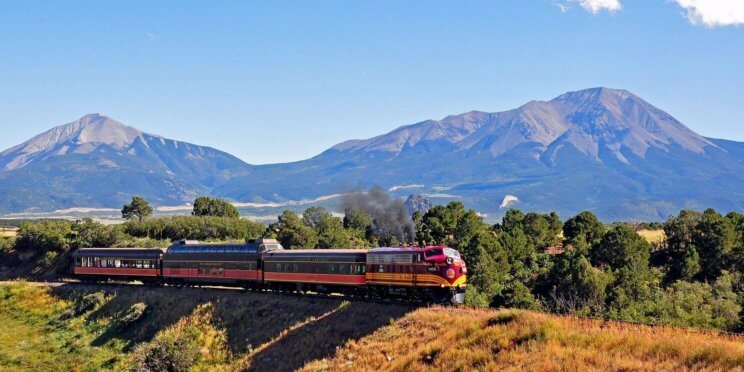 Rio Grande Scenic Railroad roams among the Sangre de Cristo and San Juan mountain ranges. The depot center is located in Alamosa in the San Luis Valley with the excursion train running to La Veta between May and October during the year. Starting on the weekends in June through September you can experience Mountain Rails Live. Hop the train with world class musicians and ride together to Fir Summit (a concert venue only accessible by rail) and enjoy music among the beautiful mountain vistas. The other special event that happens annually is the Rails and Ales event in June, a mountain top brewfest that regularly sells out months in advance. Psst… For more scenic train rides check out our article ‘9 Things to do in Colorado this Spring‘! 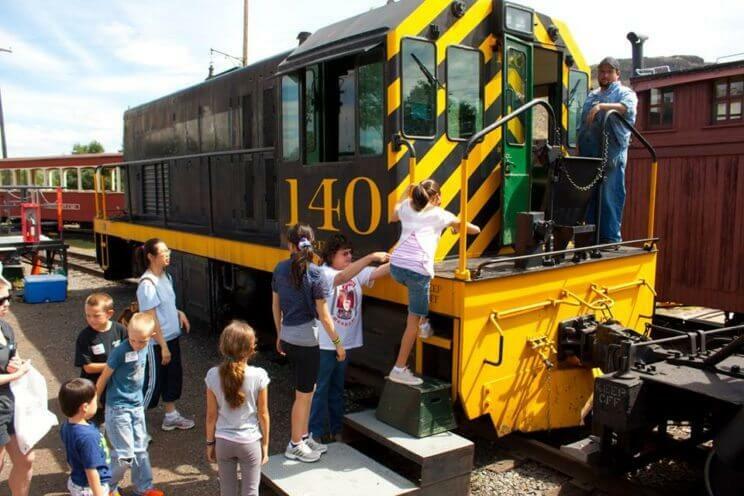 Colorado Railroad Museum is a delightful museum for railroad and history fans alike. Open daily from 9am to 5pm, the museum has an outside railyard including a roundhouse and indoor exhibits that change regularly. Every weekend they have Ride the Rails Saturday where they offer short train rides. Special events that happen every year are A Day out With Thomas, where fans who are young at heart can meet Thomas the Tank Engine and around the winter holidays they present the Polar Express where they theatrically-recreate the beloved book for children of all ages. 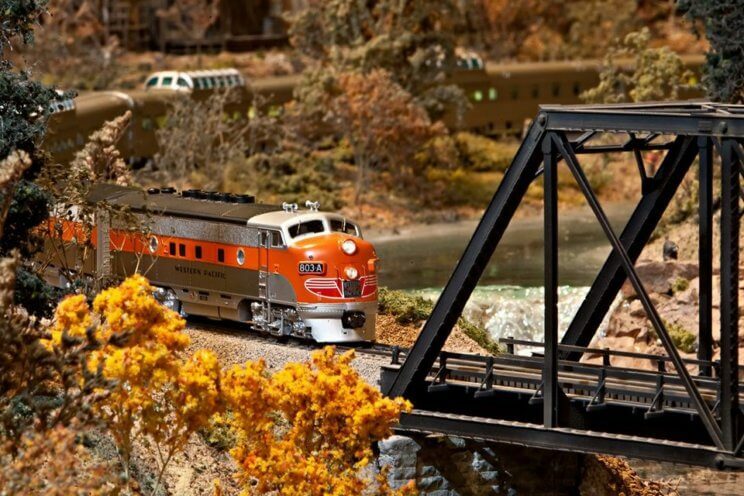 Colorado Model Railroad Museum has beautiful displays of trains that will enchant and delight all ages! Miniature dioramas with a large variety of trains and models, there is education and delight around every turn of the tiny railroad. Psst… Colorado Model Railroad Museum was also featured in our round up of ‘Best Undiscovered Colorado Museums to Visit‘! The Belleview Park Miniature Train has been running over 30 years and operates through Memorial Day to Labor Day at only $2 per ride! The tracks are located right next to the Belleview Children’s Farm, so after you get off the train you can see and play with barnyard animals and discover a little bit of the farmyard in the city. Tiny Town and Railroad opens in May and has children sized buildings for youngsters and adults to explore and peer inside the windows to a smaller world. This little park also has also has a miniature train ride that offers ten minute rides around the park. Psst…if you are curious about how a steam train is put to bed you can read about it on their website! 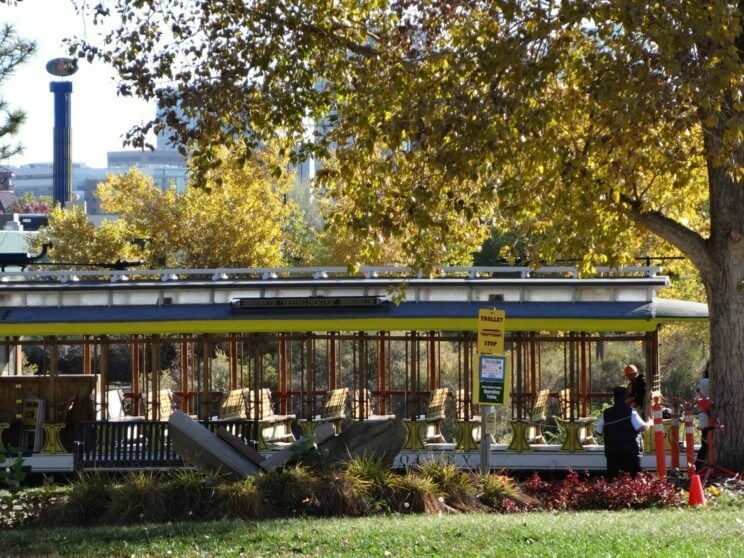 Hop the trolly in Denver and ride the rails like they did in the 1800’s! Beginning on Thursday, May 24, 2018 the Platte Valley Denver Trolley will be giving riverfront rides five days a week, as well as special services and fares during football season for those who would like to catch a ride to Mile High Stadium. Fort Collins Municipal Railway is a fancy name for a sweet little trolley that will start giving rides in Fort Collins on May 1, 2018. 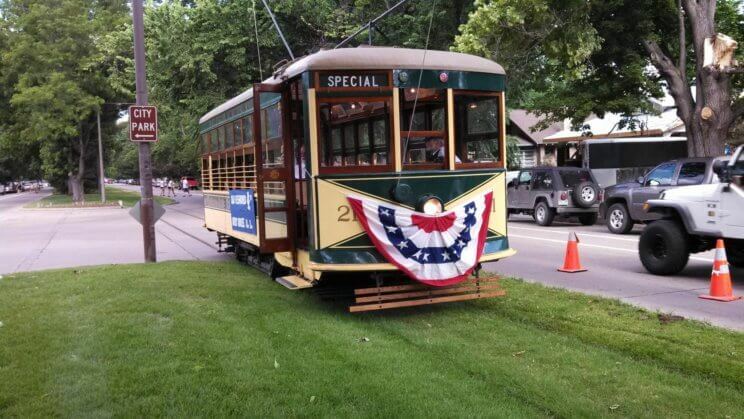 Birney Car 21 picks up passengers along Old Town and is a half hour ride through some of the classic areas of Fort Collins. 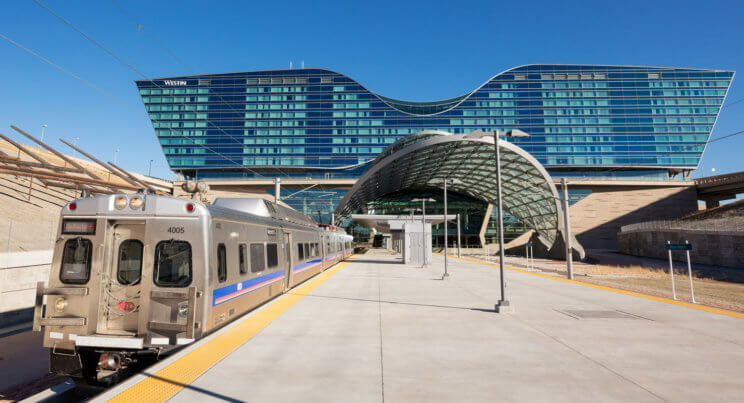 The Denver Airport Rail is a convenient way to get from Denver International Airport to downtown Denver. With six stops along the way and a ticket price of $9 this is a great option for getting to and from the airport instead of asking a friend to come pick you up. The California Zephyr is operated by Amtrak and leaves from Denver at Union Station. You can get to your destination in style with multiple stops anywhere between Chicago and San Francisco. If you are heading west it is said that the ride across Colorado and Utah is the most beautiful in the United States.